Prodipe SB21 Lanen Prodipe Sax & Windbrass mic is designed for alto, tenor saxophones, trumpets, trombones, tubas, French horns and any other brass instrument. We have perfected an electret capsule that can take up to 140dB. At that level of performance the capsule will preserve the full harmonic envelope, which adds warmth to the sound of your instrument. Retail Price - Prix Client : 119,78 CHF tax incl. A new range of instrument mic for on stage recording of acoustic instruments. We have perfected an electret capsule that can take up to 140dB. At that level of performance the capsule will preserve the full harmonic envelope, which adds warmth to the sound of your instrument. 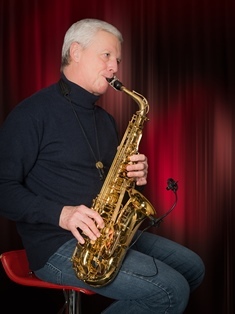 The SB21 Lanen Sax & Brass has been designed for alto saxophones, tenor saxophones, trumpets, trombones, tubas, French horns et all other brass instruments. We paid a lot of attention to how the mic should be attached to the instrument. We looked at existing mics, talked to musicians and put all the good ideas together. Clamp(s) and XLR adaptor are supplied for wired mic use (48V phantom power supply required). The mic can also convert to a UHF mic by connecting it to the Prodipe DSP/UHF Bodypack system (specially adapted for the Lanen 21 capsule impedance). "Of all the components in a mic, the one that has to be infallible is the diaphragm. For the new Prodipe instrument mic range we have perfected an electret diaphragm here in France which can handle up to 140dB. And with this level of performance, our mic will preserve the full harmonic envelope that adds warmth to your instrument’s sound. We have also spent a considerable amount of time thinking about the best way to attach the mic to your instrument. In a bid to optimise the recording environment we have designed a purpose built clamp for each type of instrument." UHF compatible (with Prodipe DSP/UHF Bodypack system - sold separately). A mini XLR to XLR connector adaptor with clip to ensure that the mic cable is exactly where it should be on your instrument (48V phantom power supply required).